Don't be put off by the title! 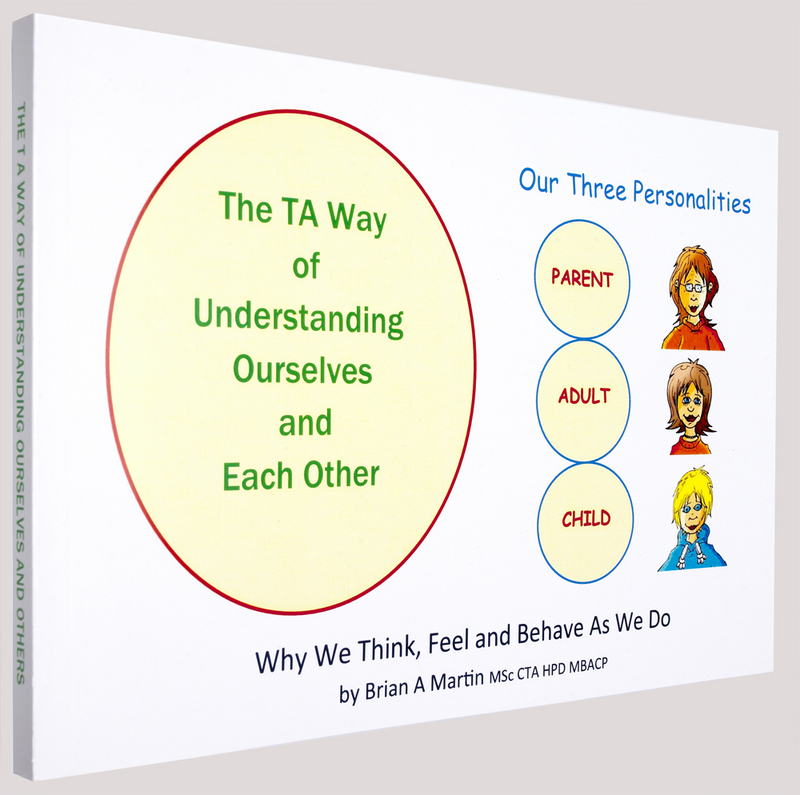 TA is a brilliant way of understanding why we think, feel and behave as we do! It was an amazing moment for me when I discovered Transactional Analysis [TA] psychology in 2001. It struck me right away, as a brilliant way of understanding why we think, feel and behave as we do and I have written this book in easy read format for intelligent members of the general public, so they too can use TA ways of understanding themselves and each other to improve their life and relationships. These multiple personalities are called Ego States. We switch rapidly from one Ego State to another depending on the situation we are in. Sometimes we act like one of our parents. At other times we revert to being the child we were, have irrational fears and behave irresponsibly. At other times we return to being a logical, common sense, Adult. WHAT IS BEING ANALYSED IN TRANSACTIONAL ANALYSIS? A Transaction is simply a unit of communication. You say something to your partner who responds in some way, verbal or non-verbal. You have exchanged transactions. 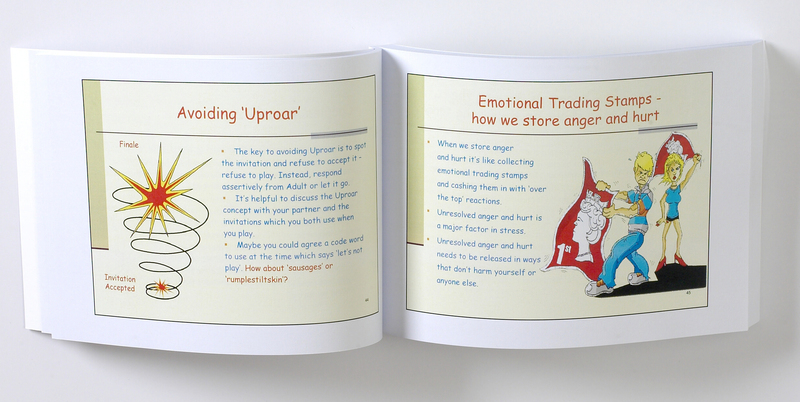 Transactional Analysis is about understanding what is going on in the transactions between ourselves and others. But it's not only that, it's also about what's going on in internally in our head, about understanding the part being played in our ways of thinking, feeling and behaving by our Parent, Child and Adult personalities [who often don't agree with each other!]. ''In 'The TA Way', Brian Martin once again shows his talent for conveying important ideas in a clear, entertaining and creative style. His straightforward, down-to-earth writing is reinforced on each page by plenty of humorous and striking images. I certainly recommend his book to anyone meeting TA for the first time." Ian Stewart BA PhD MPracNLP TSTA[P] Joint Author of 'TA To-day'. 'Brian Martin has once again written a very entertaining and informative book which presents some very complex concepts in a clear way which is accessible to anyone who has not come across TA before. 'The TA Way of Understanding Ourselves and Each Other' will be a very useful resource for anyone wishing to begin studying TA''. John Monk-Steel RMN, RGN, TSTA(P).